Joseph Bates | My Gospel Workers | "Redeeming the Time"
Joseph Bates was a co-founder of the Seventh-day Adventist Church along with James and Ellen White. Perhaps there was no more unlikely Seventh-day Adventist preacher than Joseph Bates. When he was young his family moved from Rochester, Massachusetts, to the port city of Fairhaven, Massachusetts, where he became fascinated with the sea. He set out from Fairhaven at the age of 15 as a cabin boy. He experienced shipwreck, capture, and forced service in the British Navy, and for two-and-a-half years was a prisoner of war in England, being released in 1815. Bates eventually served as captain of his own ship, beginning in 1820. In 1821 he gave up smoking and chewing tobacco as well as the use of profane language. He later quit using tea and coffee and in 1843 became a vegetarian.Bates retired from the sea in 1827 with $11,000, a small fortune for the time. Converted during his years at sea, after his retirement at age 35 Bates became associated with several reforms, including temperance and antislavery. In 1839 he accepted the second advent preaching of William Miller and became an active, successful Millerite preacher. He eventually invested all of his money in the advent movement. 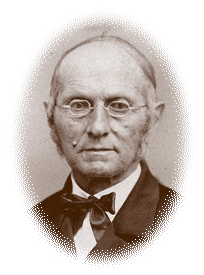 Bates experienced the 1844 disappointment without losing his faith. In 1845 he read a tract by T. M. Preble on the Sabbath, published near Washington, New Hampshire. Bates traveled there to study for himself. On returning to Fairhaven, he met a friend, Captain Hall, at the old bridge approach. Hall asked him, “What’s the news, Captain Bates?” He replied, “The news is that the seventh day is the Sabbath.” Hall became a convert to the Sabbath as well. The next year, 1846, Bates wrote a tract of his own about the Bible Sabbath. This tract came to the attention of James and Ellen White around the time of their marriage in August of that year. They accepted the seventh-day Sabbath from studying the Bible evidence for it. In the tract Bates argued for beginning the Sabbath at 6 p.m. Friday, and many Sabbath keepers, including the Whites, did so for nearly ten years. Other Adventists kept it from sunrise, sunset, or midnight. In 1855 James White asked J. N. Andrews to make a study of the Bible on the subject. At a meeting in Battle Creek in November he presented his paper, which supported sunset. After the meeting, Ellen White had a vision confirming the result of his Bible study, and unity on the subject was gained. Joseph Bates often chaired the “Sabbath conferences” of 1848-1850. He became more closely associated with the Whites at that time. He traveled to many places, including Battle Creek, winning the first convert there. In his last year of life he preached at least 100 times. He died at the age of 80 at the Health Reform Institute in Battle Creek and is buried at Monterey, Michigan.